A TRUCKIE with Victorian number plates walked from inside an interstate roadhouse carrying a loaf of bread, a bag of ice and two litres of milk. 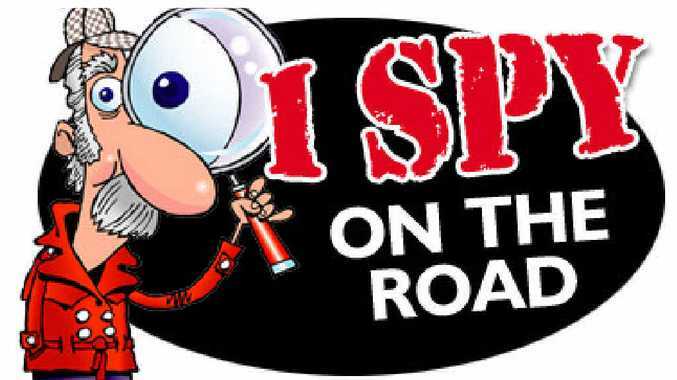 On numerous occasions in recent months, I Spy has seen other drivers also leaving roadhouses with just milk and bread. No doubt a sign of the current climate times, with the current hard financial situation being experienced by many. I Spy yarned to one who said these days while away on long runs, he can't afford purchasing full meals. "I just try and save money and carry a small esky in the truck as I don't have a fridge like many and that is why I buy ice," he said. These days a lot of truckies are taking their own food when away for any period. Some also frequent pubs where they can get a good value and reasonably priced meal. JUST about every truckie I Spy speaks to claims to have been the victim of at least one recent road rage incident. Some reckon they have been threatened by car drivers when they pull up or after something which occurred on the highway. Magistrates are taking a dim view of cases which come before them and that was evident in NT. In early July, a 27-year-old father of three was fined $1000 and ordered to pay $8000 compensation after appearing in the Nhulunbuy Magistrates Court. The road rage incident occurred in January when the man stopped about 1pm and walked towards a taxi driver who was behind him. The court was told the taxi driver was punched after the man fined had allegedly been tailgated. No truckies were involved although this goes to show that road rage is not being tolerated. WHEN I Spy asked a Western Australian truckie recently what his hobby was outside work hours, he got a surprising reply. "I am a nudist," the middle aged driver quipped. Never before had a truckie revealed such a recreational habit to old I Spy. "That is the naked truth," he said with a wry grin. Did the cat come back? MOST of us have heard the song about the "cat coming back" and a NSW truckie hopes that is the case after a recent incident. The truckie loaded in NSW and the next day when he opened the trailer at his delivery point over the border in Victoria a cat dashed out and ran away. "I had no idea the cat was in there and it must have got in when I loaded," he said. This animal-loving truckie hopes it wasn't somebody's pet. But with all of the stories about cats finding their way back home, he is praying for a positive outcome. AS I Spy sat eating some tucker at the back section of a big Queensland roadhouse, a Hino pulled up for fuel and the driver was a heavily pregnant lady. Also in the light rig were her partner and a young child. It was good to see this young family travelling together and I Spy noticed interstate number plates. I Spy had to ponder that the little bub would possibly be a truckie of the future. SEVERAL truckies who do deliveries and pick-ups from a wharf in a large country town are amused by local workers. The waterside workers always seem to have face masks on when the drivers are there. "It is really very unusual. Some have old man and monster masks on their faces and it really is quite hilarious," the truckie told I Spy. Actually a couple of those who wear the masks are ex-truckies. Our informant reckons they look slightly more handsome with the masks on.